Thank you for signing the Guest Book for Rose Petri. Please take a moment to sign the Guest Book for Rose Petri. Wayne & Donna so sorry to hear of the loss of your mother, Our deepest sympathy. Wayne, sorry to hear about the loss of your mother. Charlene and I will always remember her for the kindness she always showed us. 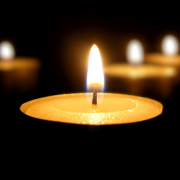 Wayne & Donna, we are deeply saddened by the loss of your MOTHER. Send me a daily email when updates are made to the obituary or Condolence page for Rose Petri.